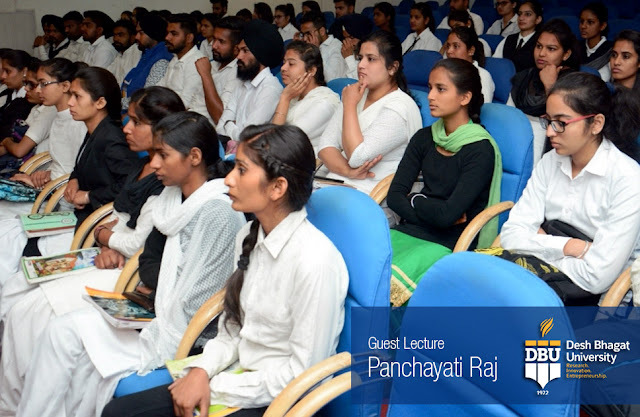 In top llb colleges in chandigarh Desh Bhagat University Faculty of Law organized a guest lecture on ‘Working of Panchayati Raj Laws in the State of Punjab’ to enhance the knowledge of the students. The lecture was attended by all the students of law classes - LLB, LLM, B.A LLB . Gram Panchayats, Panchayat Samities and Zila Parishads as Local Self Government and as organs of rural development and public welfare. He highlighted the recent emergence of Gram Panchayts as employers under the MGNREGA scheme and the recent trend of making population-based grants available to the Gram Panchayts subsequent to the recommendations of the 14th Finance Commission of India. The measures being taken regarding the promotion of transparency in the working of PRIs were also discussed. 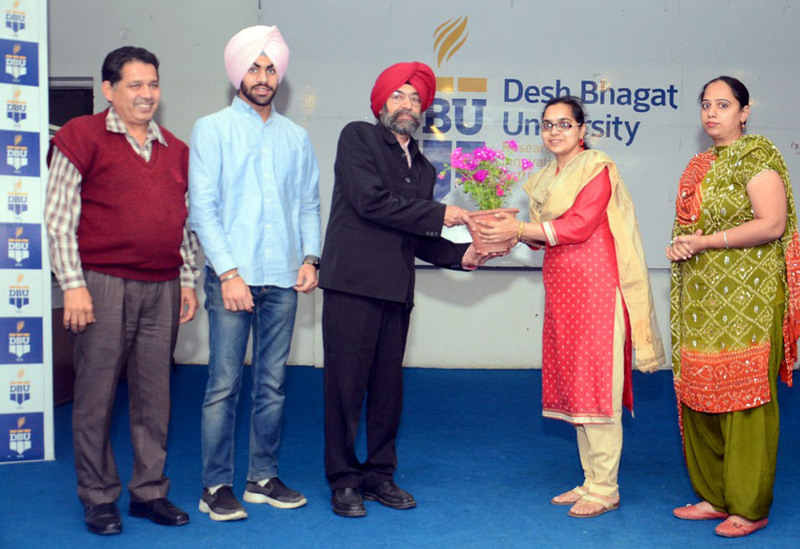 Dr. Inderpreert Kaur (HoD Faculty of Law) informed that the lecture was followed by an inter-active session and students asked numerous questions on the topic which the learned speaker answered to their entire satisfaction. A street play regarding drug-addiction was also performed by the students. 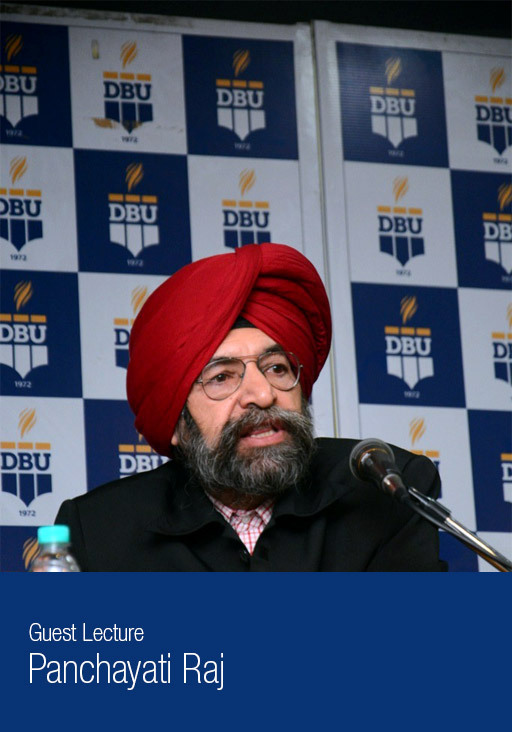 Vice Chancellor Dr. Virinder Singh thanked the guest speaker for sparing valuable time and sharing his views with the students. 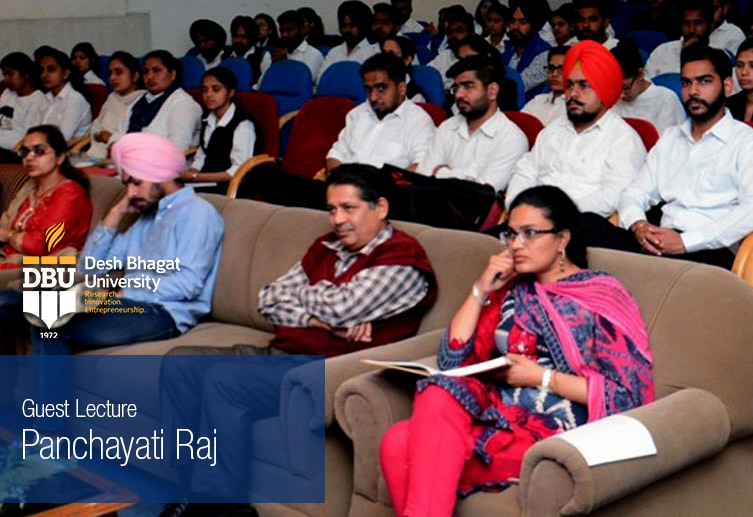 Among others, Satish Kumar and Law faculty members were present on the occasion.